Cabinets can be classed as stock, semi-custom, or custom. This relates to how unique the cabinet system is. For example, stock cabinets come in standard sizes, and are available in a limited number of styles and finishes. These cabinets can be maintained in your suppliers inventory making them available for installation on short notice. The downside is that the kitchen or bathroom can’t have very much “customization.” Semi-custom cabinets are built to order with materials of a higher grade than stock cabinets. While stock cabinets come in 3 inch increments, semi-custom cabinets allow for limited changes to cabinet width and depth. Delivery can take between 4 and 6 weeks. Custom cabinets are made for a specific kitchen or bathroom and may take up to 20 weeks for delivery. These cabinets use the highest quality materials and provide the broadest choice of styles and finishes. Custom cabinets enable kitchens to be designed and built to meet the very specific needs of your client. 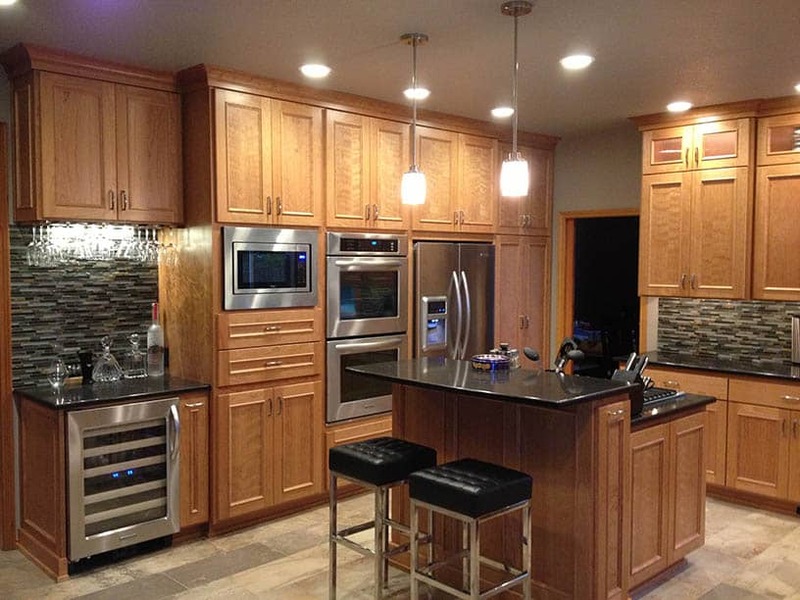 As you may expect, pricing for cabinets is on an upward sliding scale from stock to custom. Within each class, manufacturers typically provide a low, medium, and high price point. Pricing within a class will depend on product quality. Also, the type of materials the cabinets are made of, how the cabinet is constructed, and the finish all have a bearing on the price. Cabinetry products are constantly changing, as are the tastes of your clients. Maintaining constant contact with your supplier as well as reviewing the latest kitchen and bath industry journals to educate yourself is a “must do.” And if you are doing design and sales, an in-depth knowledge of cabinet styles and sources is an absolute must.